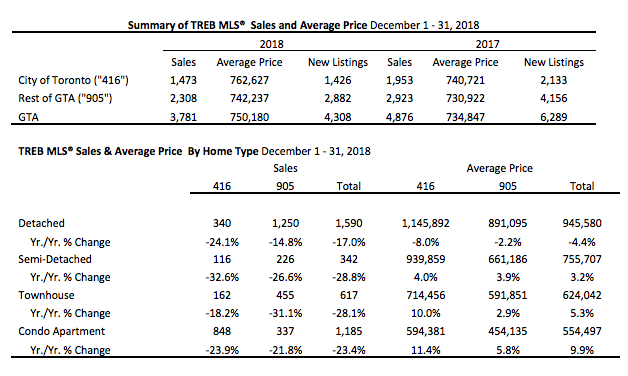 TORONTO, ONTARIO, January 4, 2019 – Toronto Real Estate Board President Garry Bhaura announced that Greater Toronto Area REALTORS® reported a total of 77,426 residential transactions through TREB’s MLS® System in 2018. This result represented a 16.1 per cent decline compared to 92,263 sales reported in 2017. 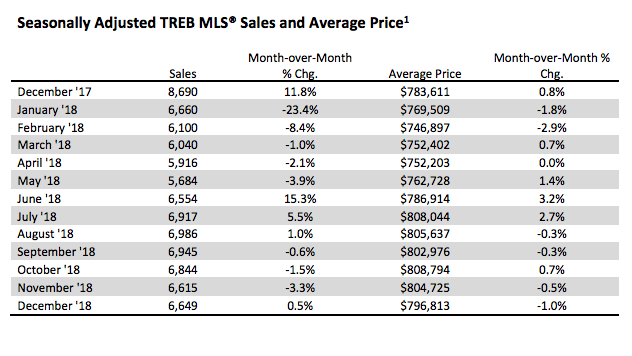 Total new listings entered into TREB’s MLS® System were down by 12.7 per cent over the same period to 155,823. 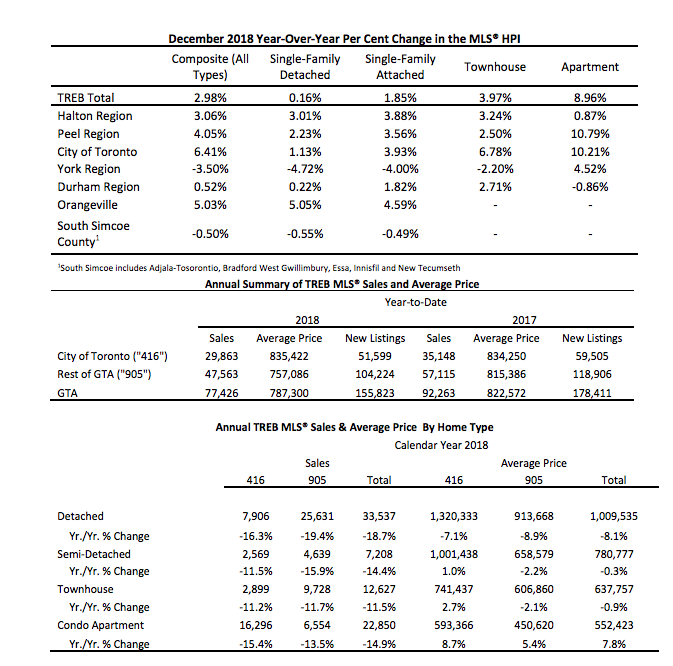 On February 6, TREB will be releasing its fourth annual Market Year-in-Review and Outlook Report. The report will feature the latest results from the Ipsos surveys of existing home owners and intending home buyers. The surveys will cover off home buying intentions, impacts of recent government policy decisions, interesting information on investment property ownership, renovation spending and mortgage trends. The report will also contain information on the new home and commercial real estate markets. New research on mid-density housing by the Ryerson Centre for Urban Research and Land Development and a study on transit-supportive development by the Pembina Institute will also be presented. 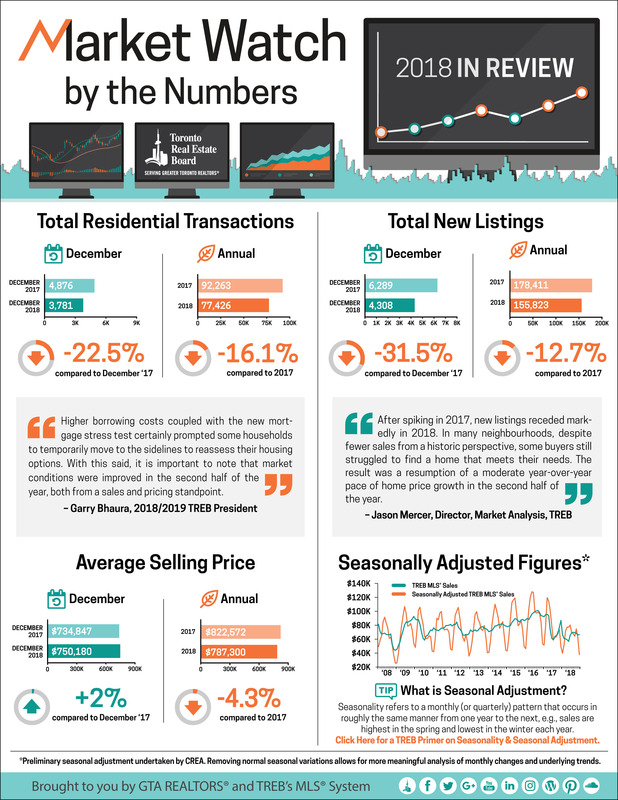 The post TREB Releases December Market Figures appeared first on TREB Wire .